There are plenty of compelling reasons that makes Archivist Online your best choice to use as School Management Software in your educational institute. If you have not heard of Archivist yet, then you are going to want to pay close attention while we go over all of the many wonderful benefits that our school management system has to offer. 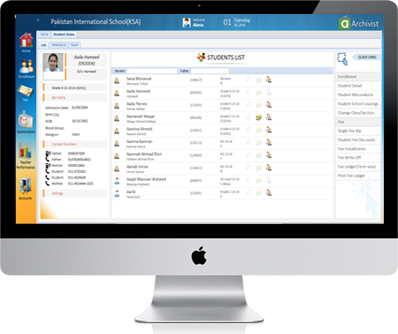 Archivist Online is a web based/cloud based online school management software system that comes complete with a variety of powerful software designed to help streamline school management. Best yet, because this school management system software in Pakistan is cloud based there is no timely installation to deal with either. Provides you with Free Time to Focus on Core Components of Your School. Mobile Availability 24 hours a day 7 days a week.